Ocean Food provides products for commercial and industrial uses. We are fully equipped to create private labels for your company and can customize products to suit your needs. Ocean Food surimi crab, and many of our fried and broiled products are available for sale. We also sell our proprietary blend of raw surimi paste. Our standard large packs come in 5lb and 20lb sizes, but customized sizes are also available. Our Food Services Market surimi crab is available in both fresh (Fresh Sea Market) and frozen (Arctic Sea Market) forms. Both versions come pre-cooked and are ready to be served. 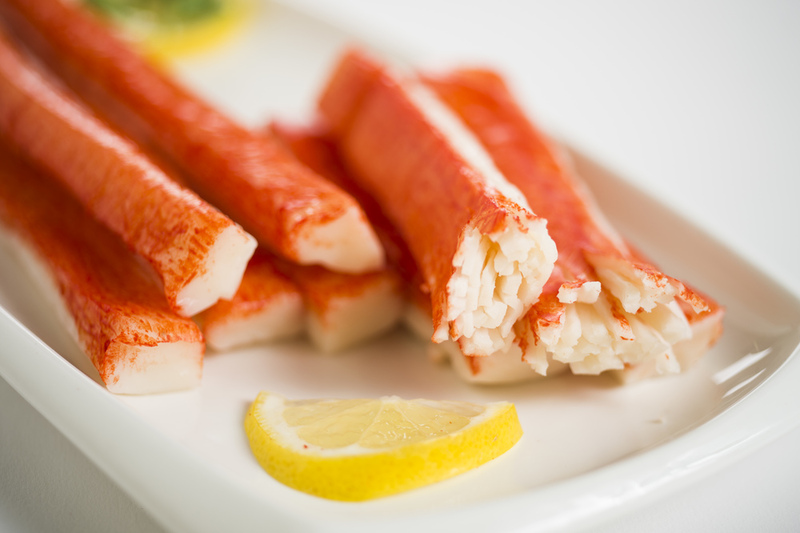 The surimi crab products are available in leg and flake form as well as in shredded form. Ocean Food can also provide tailored surimi crab recipes for your restaurant or food service company. Our Food Services Market Fried products are available in frozen (Arctic Sea Market) forms. 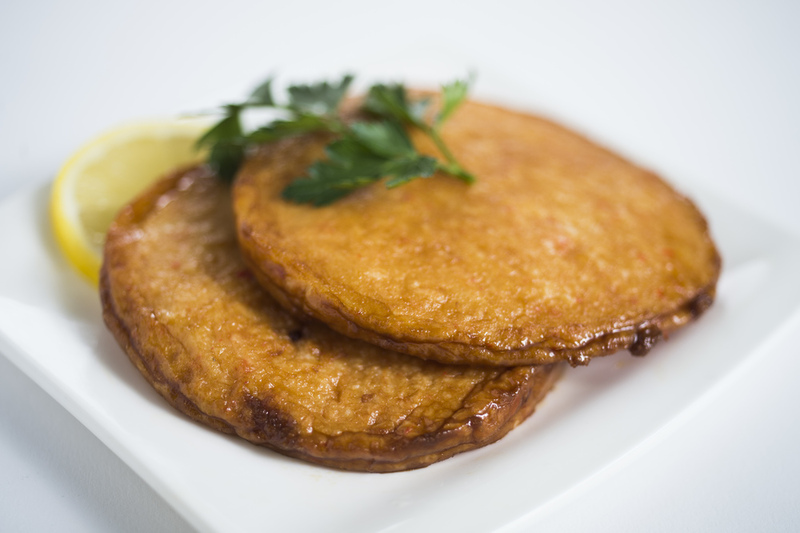 There are a variety of fried products available, including Satsuma, a fried fish cake made from a blend of our surimi and flour. The Satsuma is available in vegetable and spicy varieties. There are also fried fish balls (crab-flavoured or blended with corn), kobushi vegetable, spicy crab-flavoured surimi legs, and deep-fried vegetable croquettes. All of our fried products taste delicious as-is with a dipping sauce, in oden or with udon noodles. Our Food Services Market Broiled products are available in frozen (Arctic Sea Market) forms. Our handmade, mini chikuwa are smoky in flavor and have a firm yet springy texture. They can be enjoyed in soups, oden, or made into appetizers when stuffed with vegetables or cheese. Ocean Food makes a high quality, refined surimi paste and is available for purchase for commercial or industrial uses. Our surimi paste is made with a unique blend of fish, without the use of preservatives. It’s a versatile product that can be made into fried products or appetizers.